Mohs surgery is a detailed surgical procedure performed as a skin cancer treatment. During mohs surgery, very thin layers of the cancerous regions of the skin are carefully extracted until the affected area has been removed completely in order to treat skin cancer. 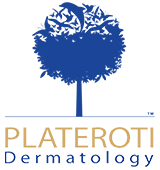 Plateroti Dermatology in Templeton, California is led by Dr. Carmelo Plateroti who has provided excelled skin care to California for over three decades. Our practice offers a series of dermatological, cosmetic, and integrative medicinal procedures that can enhance your health, wellness, and image. Contact us today to schedule your consultation appointment to learn more about mohs surgery. Mohs surgery is performed to treat common forms of skin cancer including basal cell carcinoma, squamous cell carcinoma, and several types of melanoma. It is an improvement over standard surgery, which requires local incisions into the affected area to remove noticeable signs of cancer along with small amounts of nearby healthy tissue. What makes Mohs surgery more effective than traditional surgery is that it grants Dr. Plateroti verification that all cancer cells have been extracted following the completion of surgery. What is the goal of the skin cancer treatment? The main objective of Mohs surgery is to extract as much of the skin cancer as possible without doing extensive harm to nearby healthy tissue. What can I expect for Mohs surgery? Mohs surgery typically takes several hours to complete. However, since it is never known exactly how extensive the cancer may be, patients who receive Mohs surgery should set aside the entire day for their procedure. The designated skin cancer treatment area will be cleaned and administered with a local anesthetic to numb the skin, providing a more comfortable experience. What results can I expect from Mohs surgery? Patients who receive Mohs surgery will be able to learn of their results the same day of their procedure. Follow-up visits will be scheduled in the time after your surgery to monitor your recovery. Contact us today to schedule your consultation appointment to learn if Mohs surgery skin cancer treatment may be the right procedure for you.